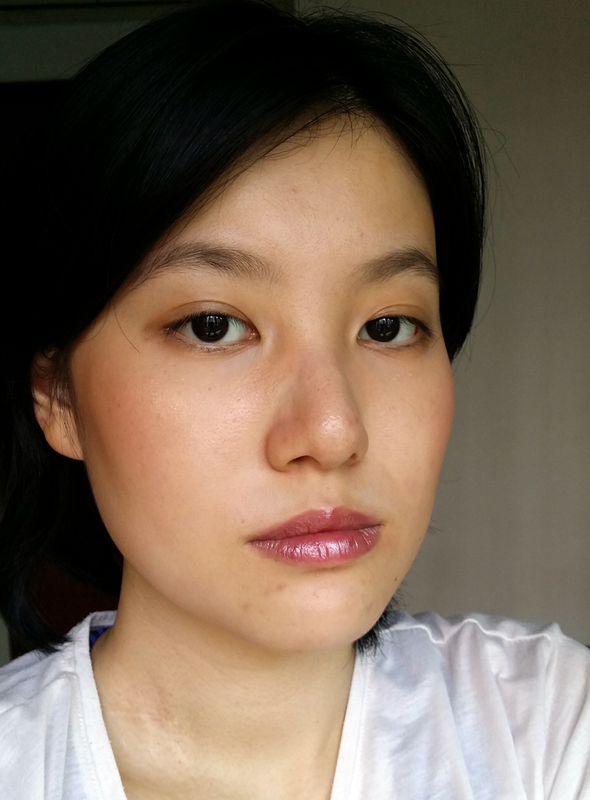 This was given by a friend – she has a round face and wanted to try contouring, and bought this. She didnt think it worked for her, so she very kindly gave it to me. This is in the shade Light/Medium, there should be a Medium/Dark available as well. You can tell it’s leaning orangey. 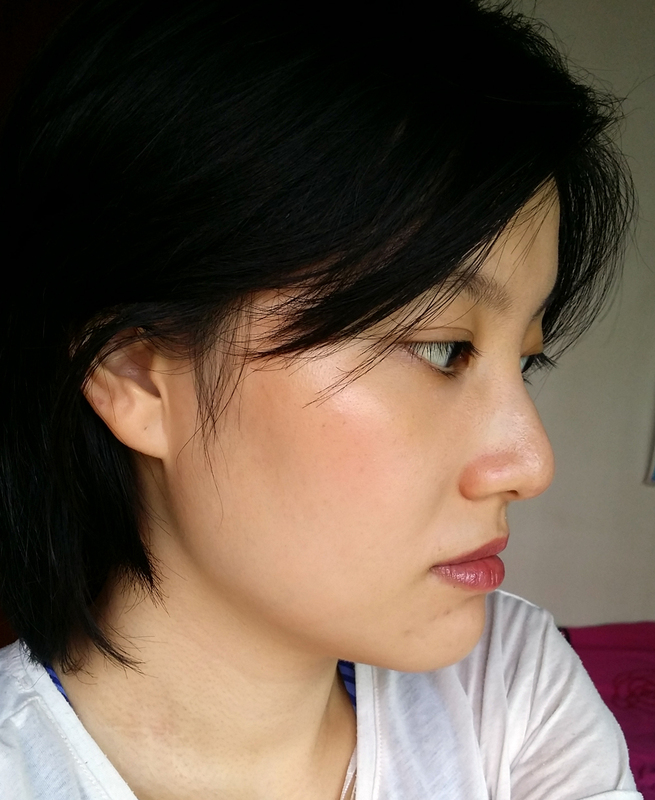 It’s an alright bronzer colour, and I use it as such, not as a contour. 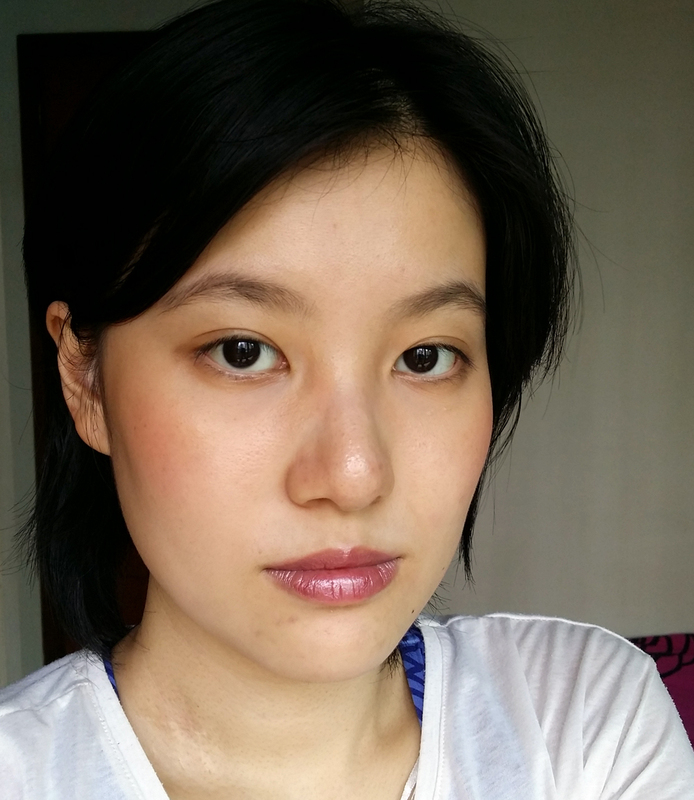 It’s also rather pale – my arm is darker than my face, but the contour is not much darker than my arm. The highlight is a white-gold, but it’s rather chunky and is too powdery – I think it doesn’t have quite enough binders in it. There is a brush included. It’s quite firm but rather scratchy. Works in a pinch but I wouldn’t really want to use it. Left to right: NYX Taupe, Zoeva Rose Golden blush palette contour shade, Maybelline Master Sculpt Contour shade, Alcina Bronzer darkest shade, Alcina bronzer middle shade. Okay, seriously. This is marginally darker than the middle shade of the Alcina bronzer. No wonder I feel like I have to build it up to see a significant effect. It’s just not quite dark enough, and I’m already pretty fair. I guess this works better for people NC15. On the face – left without, right with. This is the right side of my face, which I very rarely photograph, I’m like Ariana Grande 😛 You can see a bit more warmth along my jaw and my cheeks in the 2nd photo. 3/4 view: left without, and right with. The edges of my face have warmed up a little and there is slightly more definition. One thing I noticed was that the contour shade seems to have residue build up on it quite quickly. After about every use, I would get very little pigment and would have to scrap away the top layer, which is why you can see my finger nail marks on it. This is goddamn annoying, of course, but it’s not a complete dealbreaker. 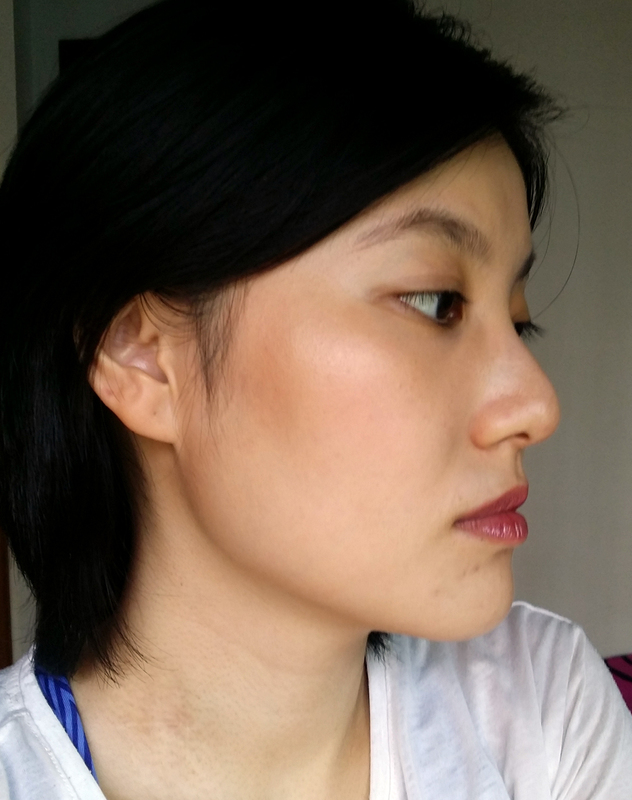 The ‘contour’ also has some shimmer – see what I mean about it being a far better bronzer than contour? The contour is a little on the dry and dusty side, but because it’s much lighter than most other bronzers, it doesn’t result in a lot of blending issues or whatever. The highlight side is conversely, much more subtle than the highlights I’m used to, and chunkier. When I use this, it’s almost like I mattified the top of my cheekbones. Absolutely bizarre. I guess I’m used to the dewy sheen of cream blushes and highlighters, and the super glowy sheen of my other powder highlighters. Overall, I think this product is decent. It’s good as a subtle, cheap bronzer, and I can’t complain because I got it for free. I would use this in place of contour on lazy days I don’t want to look too done up, and it works great as a quick bronze because it’s impossible to overdo. I wouldn’t run out to buy this, but I like it enough to use it up. However it’s not super great quality – evident in the highlighter coming off on the brush in chunks, and the contour shade being kinda dusty and dry. This product looks good. Great review! Thanks for sharing!